What's the only thing better than perfection? Well, more of it. That's what. Blake Snell retired all 15 batters he faced Friday night in Toronto, striking out six and throwing just 47 pitches in a 7-0 victory over the Jays. But because he had been injured recently, the Rays' manager Kevin Cash pulled him after five innings, even with immortality 12 outs ahead of him. Oh, it made sense. 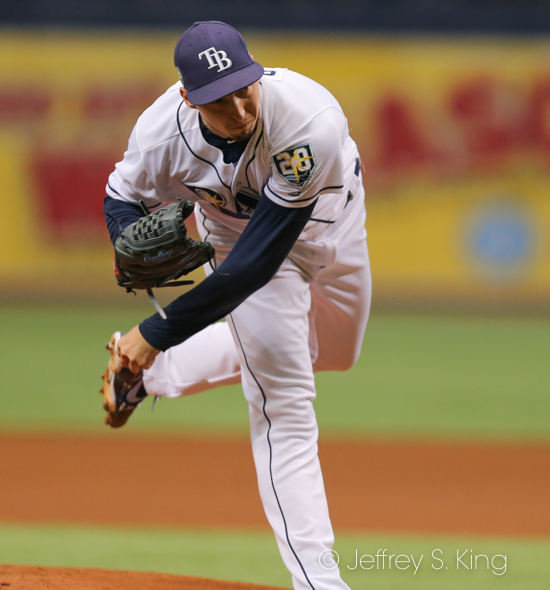 Snell hasn't gone more than four innings since July 7, and his health is important. 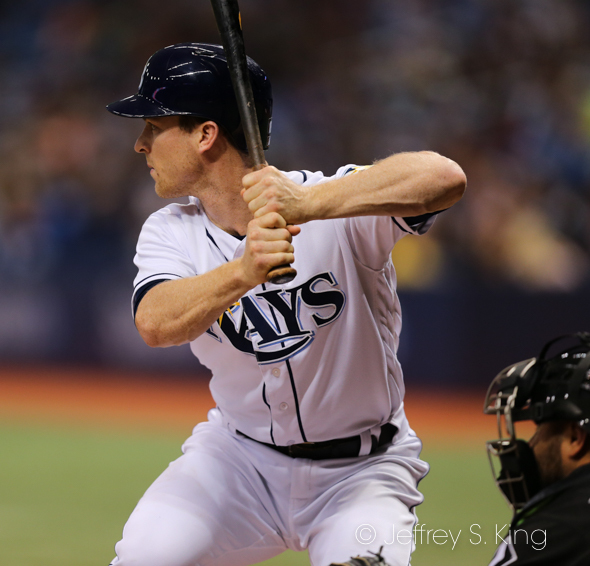 "Cash said I was done," Snell said. (Pitching coach) Kyle (Snyder) told me why. I’m not going to argue. Kyle wants what’s best for my career. I felt great, but I hadn’t gone five innings in a month. I thought I’d get into he sixth, but I'm not upset at all. I trust him with everything. I'm not upset by any means. I know he’s doing what’s best for me, and I appreciate that." Snell, who had only 11 wins combined in his first two seasons, now has 13 (13-5). "With Kyle's comfort level and my comfort level, given the time he had missed, that was enough," Cash said. "I look for 6-7 ups the next time he goes out there. He was outstanding while he was out there. Blake had everything going and attack, attack, attack. "Kyle told me (to get him out of the game). I didn't agree with it. I'm not going to get in his way. He told me to get him out and I got him out." 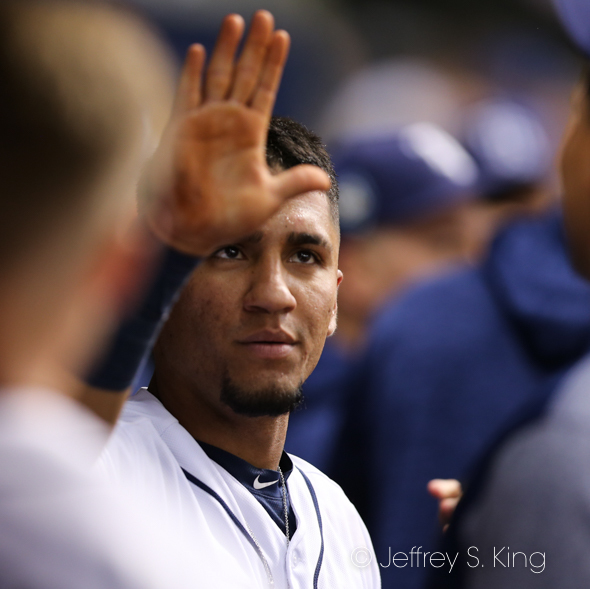 By then, the Rays led 4-0 and were on their way to a lopsided victory. Michael Perez hit a two-run homer -- his first in the major leagues -- to start the assault. 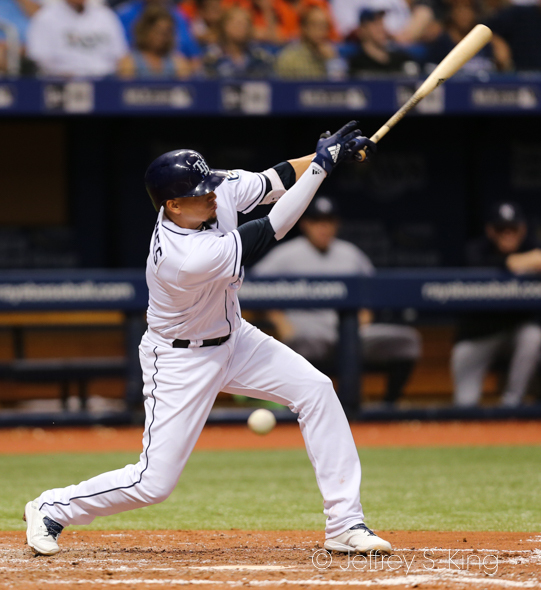 Willy Adames had three hits. Joey Wendle drove in three runs with a two-run double and a sacrifice fly. In the end, Toronto managed just three hits, all off of Jake Faria in his three innings of work. Jamie Schultz finished things up with a scoreless ninth. 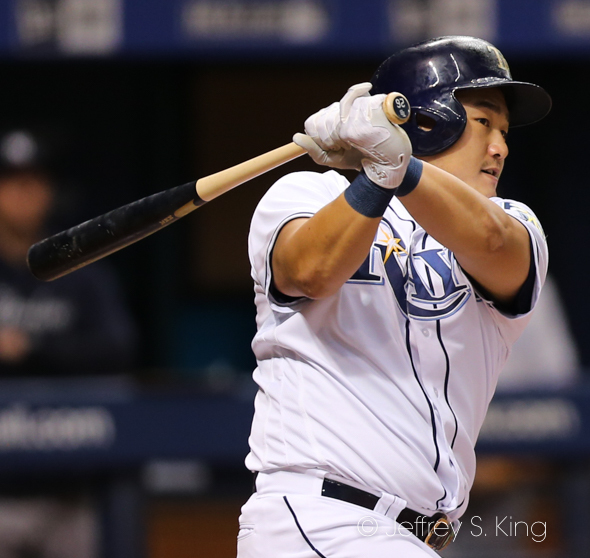 Ji-Man Choi hit his second home run in two days. The Rays have not announced their starter for today's 4:07 p.m. game, although indications are it will be Ryne Stanek. Sam Gaviglio will pitch for Toronto.